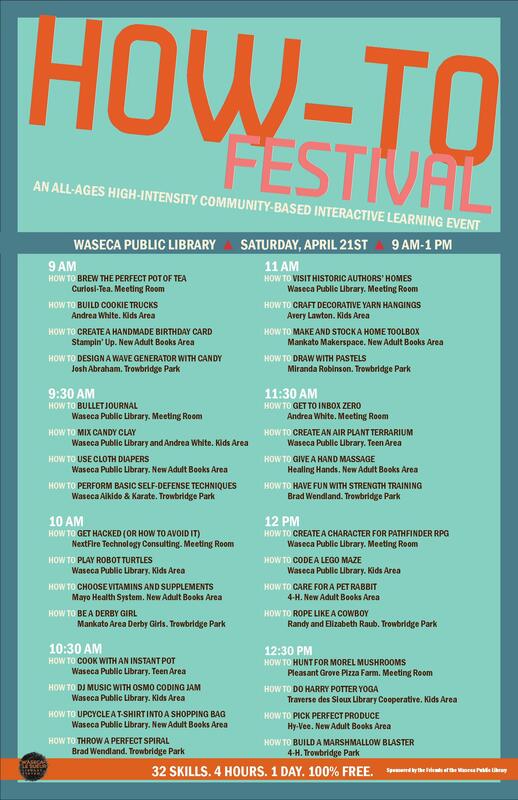 Waseca-Le Sueur Regional Library System announces their Spring Author Series. Science fiction and fantasy author Naomi Kritzer will speak at Janesville Public Library (102 W Second, Janesville, MN) on Thursday, April 20th at 6:30 pm. Kritzer will talk about her books as well as winning a Hugo Award for her short story “Cat Pictures Please”. 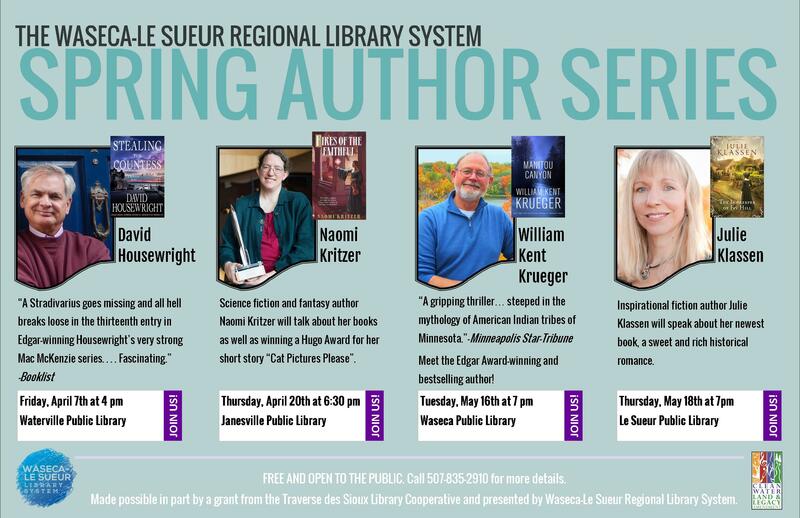 Wrapping up the series will be inspirational fiction author Julie Klassen, who will speak at Le Sueur Public Library (118 E Ferry St, Le Sueur, MN) on Thursday, May 18th at 7 pm. The Innkeeper of Ivy Hill is the first book in her historical romance series Tales from Ivy Hill. This series is free and open to the public. Authors will be signing books at the events. 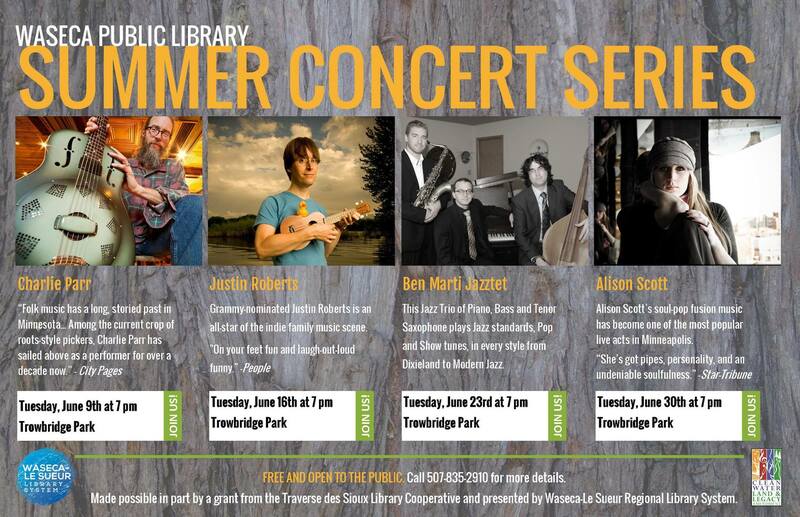 This series is made possible by grants provided by the Traverse des Sioux Library Cooperative and is funded in part with money from Minnesota’s Arts and Cultural Heritage fund.